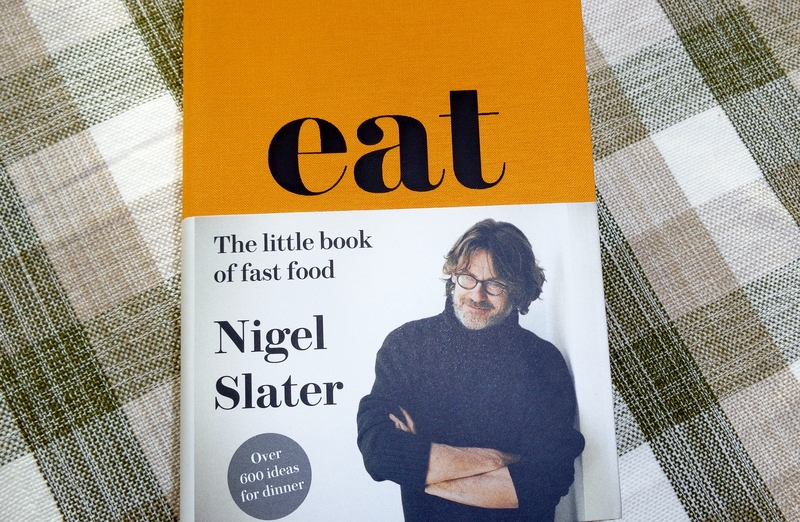 Eagerly awaited and finally arrived: Nigel Slater’s new book Eat, a collection of suggestions for “straightforward, delicious cooking”. I admire Slater as much for his recipes, which are innovative and beautifully simple, as for his writing style. 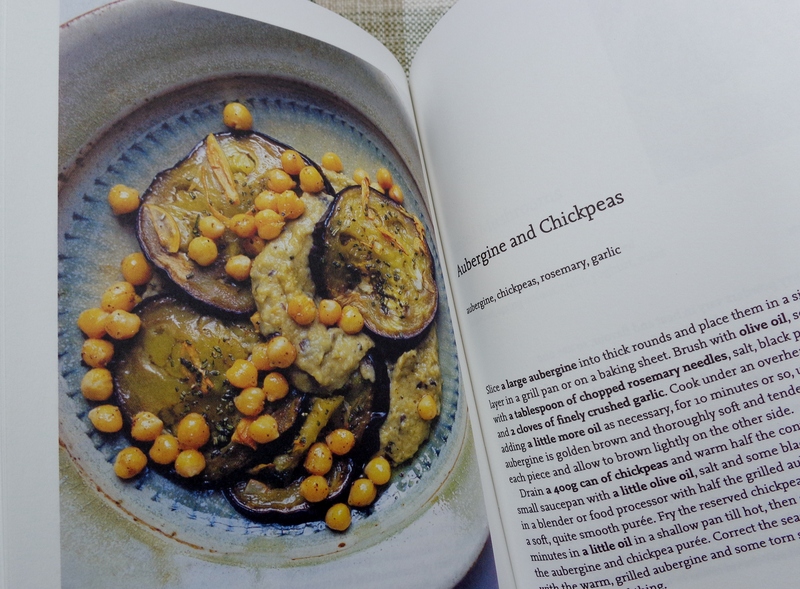 More concise than his previous books, Eat is a straightforward book of recipes: each one short and to the point. I also like that most come with an extra Slater thought or two, written in bullet points. You melt a slice of butter in a wide, shallow pan. When bubbles appear around the edge, you slip in a fillet of fish and slowly let it cook, spooning the warm butter over and over. You watch the flesh change from pearl white to snow white and see the edges turn pale gold. You toss a salad or steam some green beans. You open a bottle of wine. You lift the fish onto a warm plate, add a little lemon juice and some chopped parsley to the butter in the pan and let it foam before pouring it over the fish. Dinner is served.